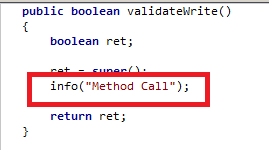 Pre Event handler: This is called before the execution of method (in a table or a class). 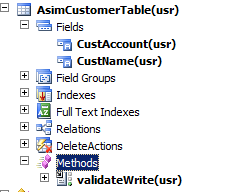 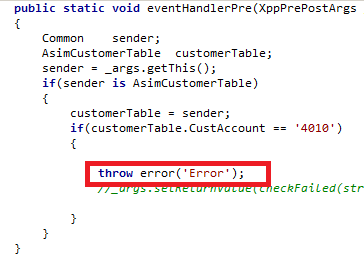 Note:These event handler can be defined against a method in a class or a table. 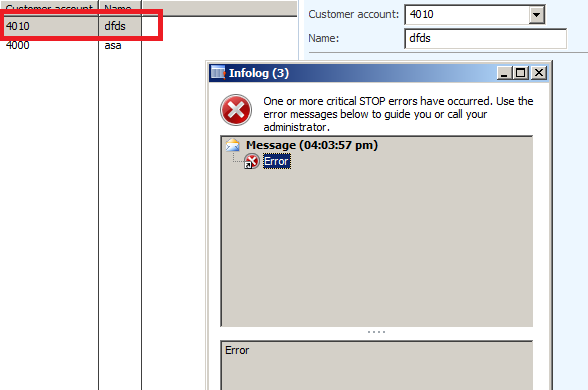 And written Pre/Post Event handler here. 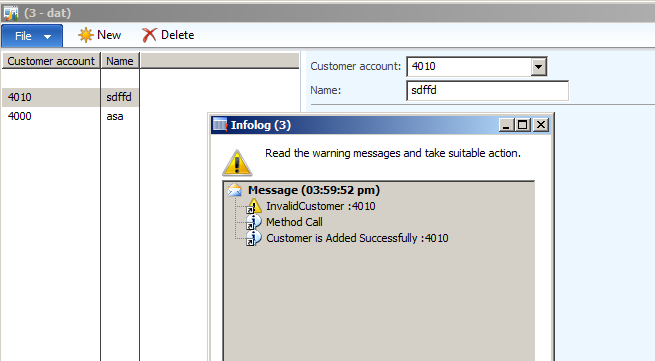 In Pre Event Handler,I am just intializing customerTable buffer with the sender object which is actually a table buffer,then checking if the custAccount value is ‘4010’then the error should be prompted on inserting. 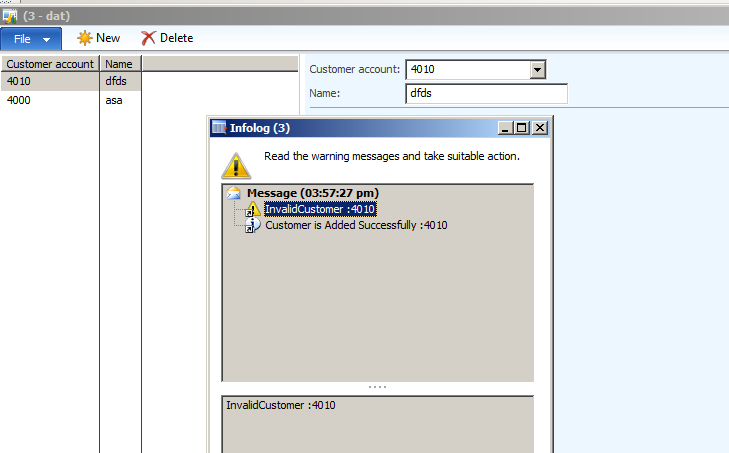 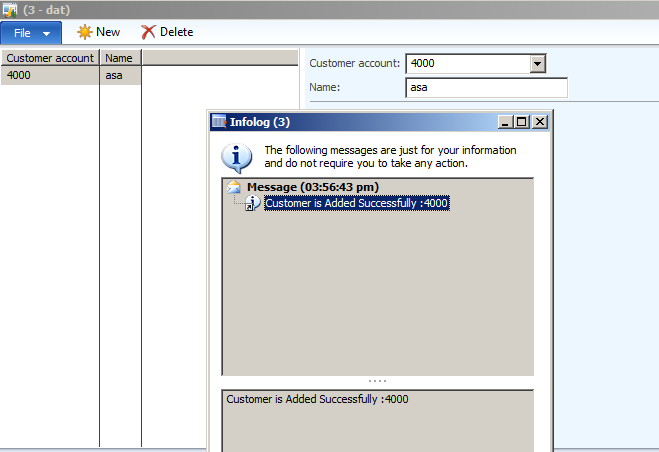 In the Post Event above, I am just prompting the notification that Account selected has been successfully added. 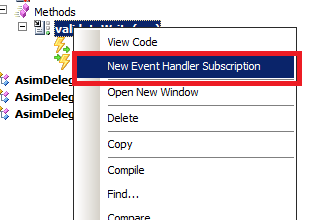 Hope this blog may clear Pre and Post Event handler concepts.